How do we come to write what we write? It’s a different question from “why”. It’s not so much a matter of reasons and motives, as of the road that lead to a particular book (or play, or story…) meant as a set of thematic, narrative and stylistic choices. 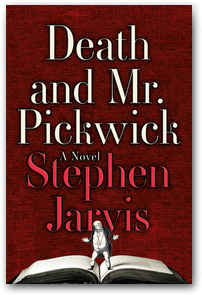 Certainly Stephen Jarvis’ Death and Mr. Pickwick has a remarkable How! Read his post on Work in Progress, to find out the far roots of this very Dickensian novel on a Dickensian illustrator. Because really, novels (and plays and stories) do have their own mysterious and roundabout ways. Thank you for passing by! I have just “liked” the page. All the best to you.